Hairnets and Meat Trays « Stitch Design Co.
We just completed this inviation for the AIGA South Carolina InShow awards ceremony to be held November 6th, in Columbia South Carolina. This was a really fun project. Who would have ever thought we’d be stuffing over 200 hairnets into our custom hairnet packaging! Sandy Lang wrote the grocery copy to make it all come together. 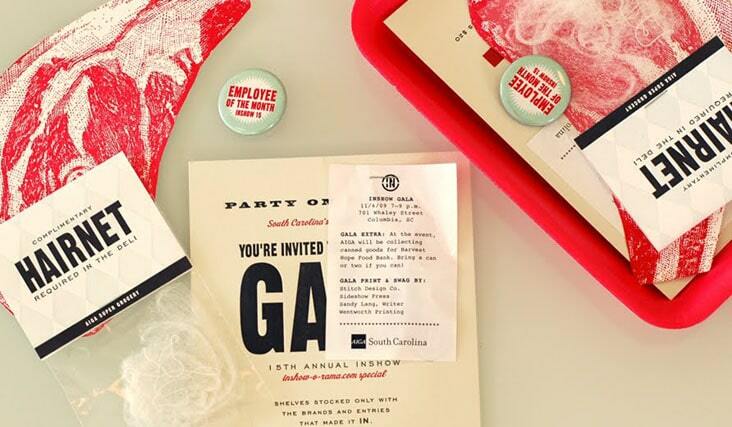 Thanks to AIGA South Carolina for asking us to be involved in the project.